Get the classic ring toss game that's fun for the whole family. This ring toss game is heavy duty and will hold up to anything you toss at it! The portable design allows for easy storage and transport. It's perfect for fun days in the sun or take it inside. Comes with 5 thick rope tossing rings and durable finished wood frame and posts. Includes high strength carrying case and instructions for game play. The best part is anyone can play this addictive game and it's perfect for teaching kids motor control. 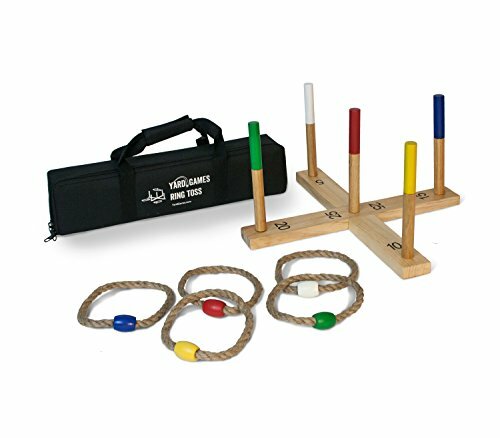 If you have any questions about this product by Yard Games, contact us by completing and submitting the form below. If you are looking for a specif part number, please include it with your message.